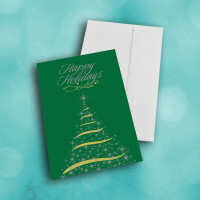 A simple, classy Christmas card that's sure to light up the lives of those who receive it. 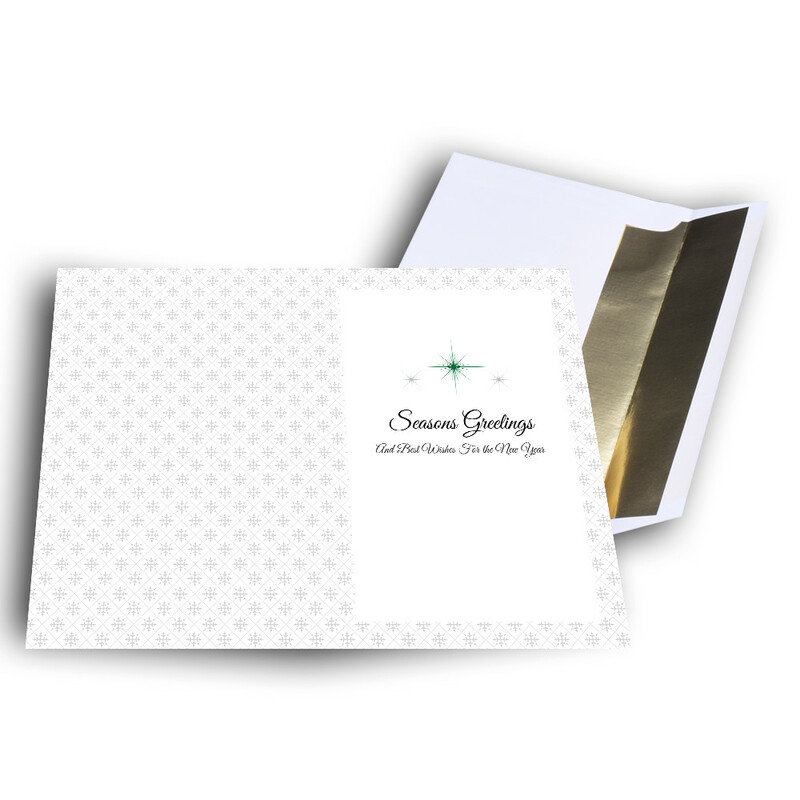 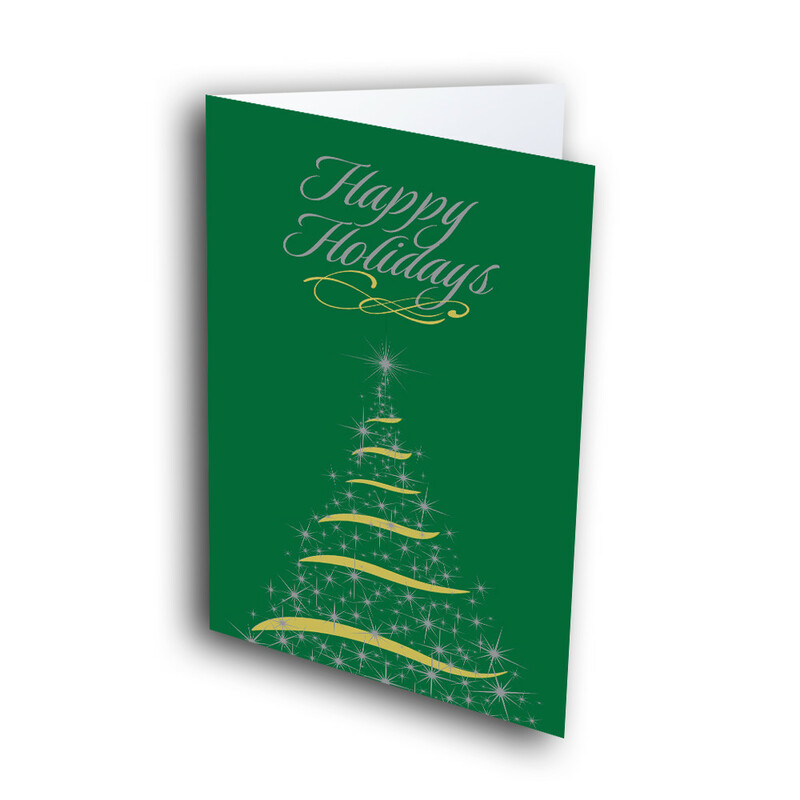 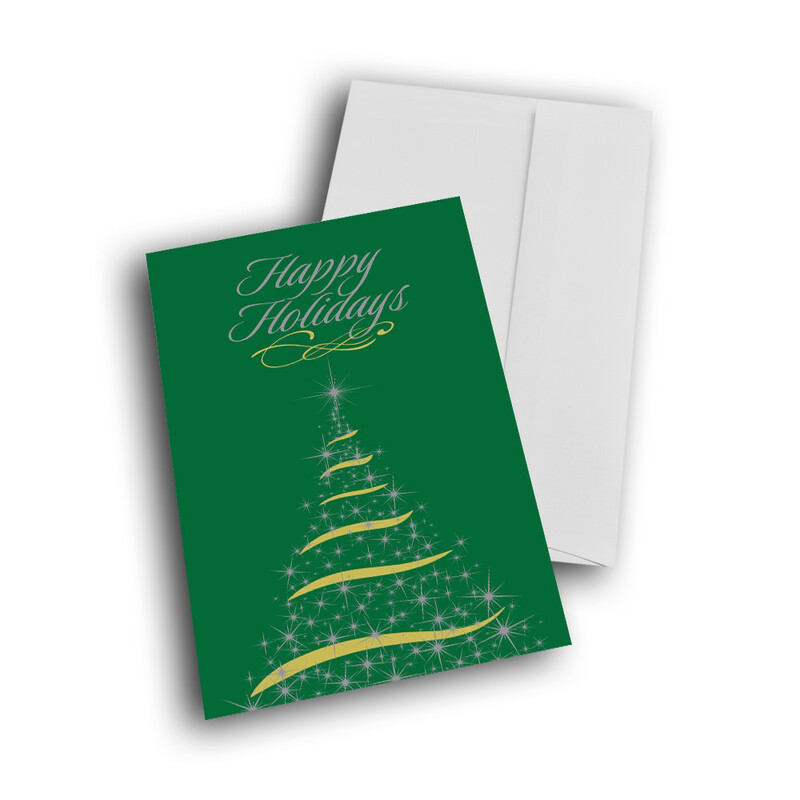 This starry christmas and new years card is sure to dazzle with its elegance. 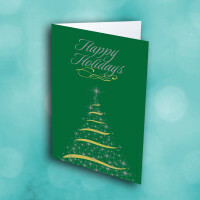 A festive tree comprised of glittering stars is set perfectly against a dark-green background, with a beautifully penned greeting across the top. 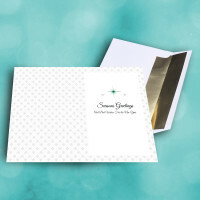 You can personalize a message inside, to give the cards that personal touch.